Young Player of the Season, Georgia Bower of Ascot United Ladies. The EPC Bracknell Football Awards – run by footballinbracknell.co.uk – saw Ascot United Ladies and Woodley United Ladies among the winners. 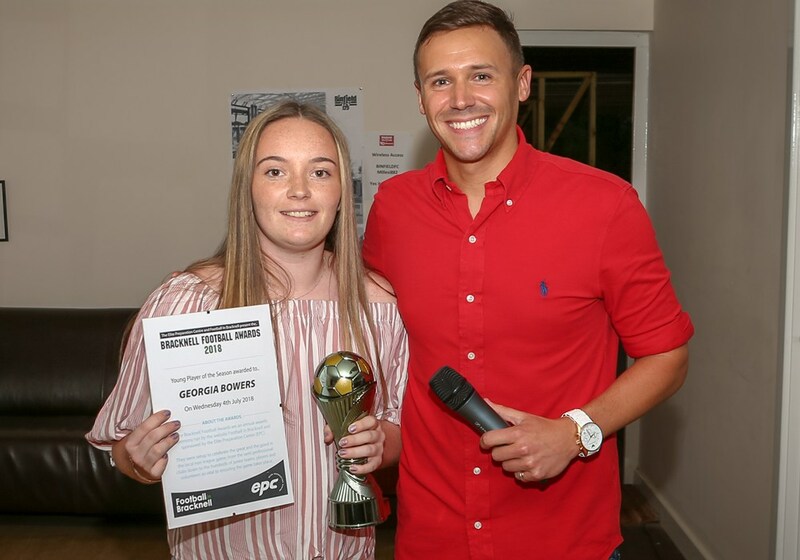 Rosie Page-Smith of Woodley United made the shortlist of four for Player of the Season but was unsuccessful on the night. However, Woodley’s Marc Surtees and Nuno Antunes did win manager of the season. 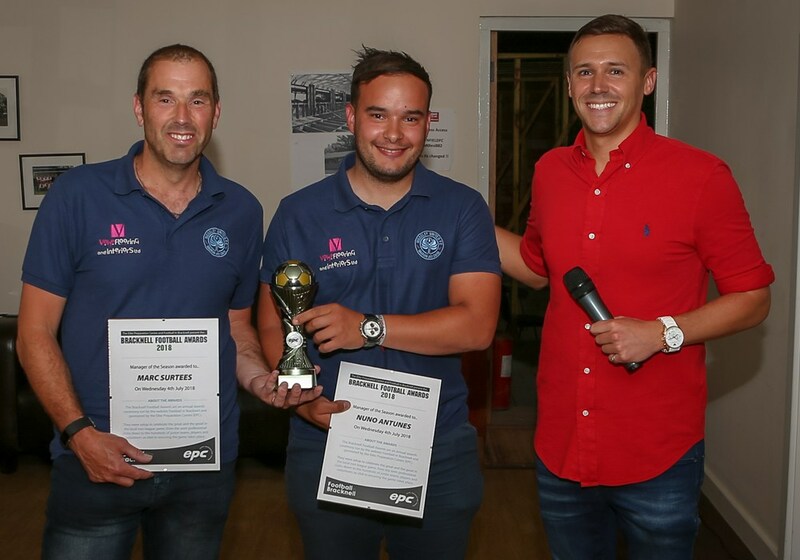 Manager of the Season was a joint award for Marc Surtees and Nuno Antunes of Woodley United Ladies. They led their side to the Southern League Division 1 North title with only one defeat and reached the semi-finals of both the Berks & Bucks Cup and the League Cup, where they were only beaten by sides from a higher level. 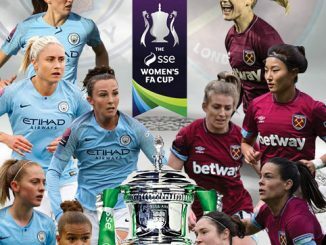 In their first ever year in the SSE Women’s FA Cup, they reached the third qualifying round before losing to FAWPL side AFC Wimbledon. Berks County’s Steve Kay was Volunteer of the Season, with his many duties including Club Secretary, Treasurer and Membership Secretary, as well as being the driving force behind building up the girls’ section.